PLYMOUTH, Mass. 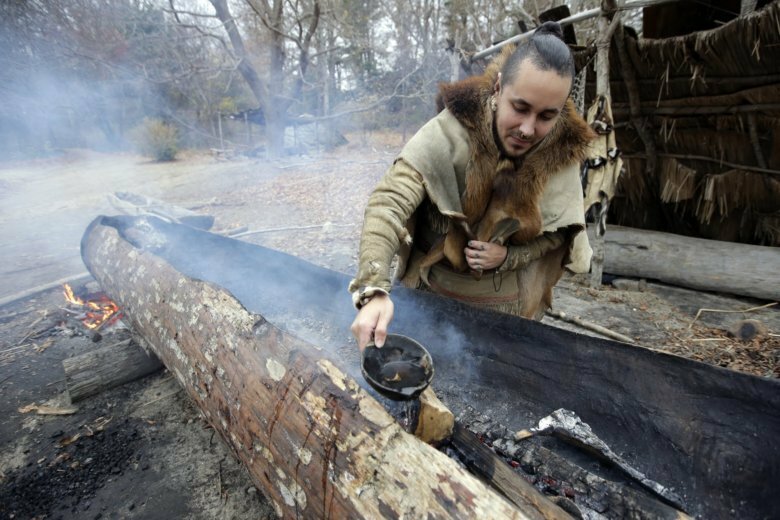 (AP) — Thanksgiving is nothing to celebrate for Native Americans, who are gathering in the town where the Pilgrims settled for a solemn National Day of Mourning observance. Thursday’s noon gathering in downtown Plymouth, Massachusetts, will recall the disease, racism and oppression that the European settlers brought. It’s the 49th year that the United American Indians of New England have organized the event on Thanksgiving Day. Participants will beat drums, offer prayers and make public speeches. They’ll also express their solidarity with refugees from Latin America who are being denied entry to the U.S., and condemn pipeline projects and fracking that they say needlessly and recklessly degrade the environment.